How the Spurs worked magic (again) and the Raptors made a mistake. The 2018 NBA offseason will go down in history as one of the weirdest ever. There was not the huge variety of free agents we will look at in 2019, with Kyrie Irving, Al Horford, Klay Thompson, Jimmy Butler, Kemba Walker, Kevin Love, Kevin Durant, and Marc Gasol, among others as leaders of one of the most loaded free agent classes in NBA recent history. The 2018 NBA offseason will be mainly remembered as the summer in which LeBron James shook the entire NBA landscape for the third time in his career by choosing a young, developing Lakers team that many are doubting will even be able to make the Playoffs. LeBron's move to Los Angeles, as high as its impact is on the league, was expected. But this summer we were also witnesses of a move that no one could predict, a rare type of trade in which legitimate NBA superstars changed conferences. Yes, we are talking about the Kawhi Leonard - DeMar DeRozan trade, which ended a ridiculous and confusing process started by Leonard's misterious injury, about which the NBA universe still can't reach common ground, and a collection of scandals, speculations, and theories around it that ended with the former Spurs superstar being dealt to the Toronto Raptors. DeRozan was on the other side of the spectrum. Drafted in the 9th position in the 2009 draft by a Raptors team struggling to be competitive, he quickly became the face of the franchise along with Kyle Lowry, and ever since he was drafted he hasn't done anything but consistently put up solid numbers and performances, become an ambassador for his team, the city of Toronto, and even the country of Canada, and of course establish himself as an NBA top 15 player. DeRozan's quiet leadership, low maintenance, and contribution to the team was perhaps why this trade was so shocking. From the Raptors' perspective, the team consistently bumped into LeBron James at some point during the Playoffs, the most recent one being a sweep in the Eastern Conference semifinals that resulted in the firing of Coach of the Year Dwayne Casey. Casey's firing was an indicator that Masai Ujiri, the Raptors' General Manager, is not settling for the anteroom of the NBA finals. Trading DeRozan, the icon of the franchise, does nothing but confirm Ujiri's ambition to take a step further and eventually reach the coveted NBA Finals with the Golden State Warriors (or any other elite Western Conference team) still as the favorite to win it. The Spurs, unfamiliar with the concept of rebuilding, didn't hesitate a bit when they saw the opportunity to send their spoiled superstar to Toronto (whether they chose Toronto to send a final message to Leonard, whose preference was Los Angeles, remains a fascinating theory), and all they had to really sacrifice (in addition to a heavily-protected draft pick) was Danny Green, a collateral casualty in this process who has proven to be one of the top 10 shooters in the game and a consistent perimeter defender, a commodity in today's NBA, even though he will become an unrestricted free agency in 2019. In exchange, they receive DeRozan (again, a top 15 player), and Jakob Poeltl, a solid 22 year-old rotation player who fits in perfectly with the Spurs' philosophy. Bill Simmons discusses in one of his latest podcast episodes that star-for-star trades usually work for one of the teams in the equation, and are a total disaster for the other one, the latest example being the Kyrie Irving and Isaiah Thomas trade which, despite Irving´s injury, produced an extremely benefitial situation for the Celtics while proving to be a major mistake on Cleveland´s part. In this case, the team that seems to come out on top of this trade are the San Antonio Spurs. With Kawhi determined to leave, they had no other option but to let him go. Keeping in mind they were the team with the pressure to do the deal, they actually come out as clear winners of the operation. DeRozan will be the same consistent player, an extraordinary teammate that will predictably establish himself as their new top scorer. At age 28, he is the new cornerstone of a veteran Spurs team that desperately wants to take the last shots at an extremely difficult NBA title before Gregg Popovich, the team´s heart and soul, retires. The Raptors, on the other side of the equation, come out as clear losers to me. While DeRozan hadn´t been able to deliver in decisive Playoff games, giving him up is a decision that will prove to have a high cost for them. I am a firm believer that the Raptors just needed a couple of upgrades to get to the top of the East, especially this year that LeBron is not there anymore. Instead, they´re betting on Kawhi, who, yes, is one of the best 5 players in the NBA when healthy, but whose health after a major injury is a huge question mark. 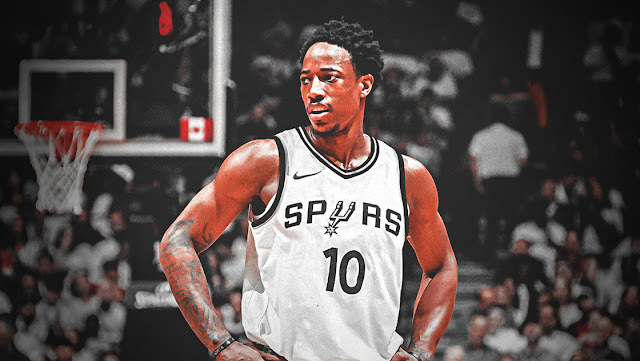 Personally, I´d rather have a consistent top 15 NBA player like DeRozan than a questionable (injury-wise) top 5 player like Leonard, whose degree of fitness after a severe (and extremely misterious) injury is yet to be determined. I have read that "this is a trade the Raptors had to make". With Leonard coming back at 100% of his abilities, the Raptors´ ceiling is the NBA Finals against a Warriors team that is still unbeatable. That ceiling doesn´t seem far from the previous one they had with DeRozan. And what is the point of making a trade if it doesn´t help you get to the next level and eventually win a championship? At this point, nobody even knows if Leonard will be the same player he was before his injury. On top of that, Leonard´s contract expires next summer, forcing the Raptors to convince him to stay in a team in which, at least initially, he has no interest playing for, with his mind set in sunny Los Angeles. 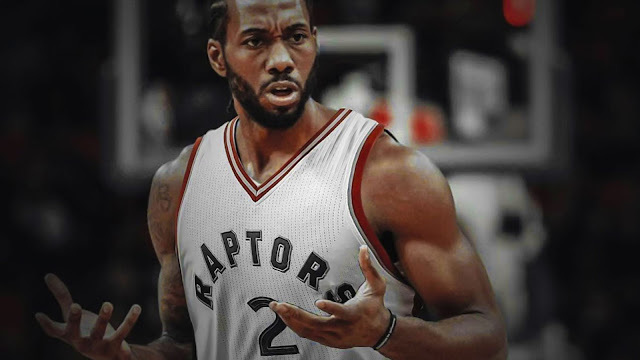 There are speculations that the Raptors could trade Leonard mid-season if they sense that the team isn´t going anywhere with him, or that they have no chance to re-sign him. This might actually be the best solution if things go south, with the risk of messing up that potential trade and wondering what would have happened if they had kept him, and viceversa if they end up keeping him. If the Raptors end up winning the championship, I will inevitably have to swallow my words, but the uncertainty of Kawhi´s health status and his 1-year contract make me think that the Raptors gave up too much for too big of a risk in a decision so polarizing that can end up being the most brilliant or most disastrous trade in their history.